We’ve clearly hit a point in our technological evolution where we have begun to see the presence of wired connections (whether for data or for power) as an annoyance and not as a critical component of our gadgets. We crave a life where all of our tech toys can talk to each other wirelessly and – dare we dream – charge themselves wirelessly too. And while the wireless charging scenario is still a few years from becoming mainstream, wireless data is here and it is rapidly gaining a foothold amongst most of our devices. Our smartphones, our tablets, our laptops and even the speakers we use to listen to music both at home and on-the-go are all equipped with Bluetooth and/or Wi-fi capability, so why not our hard drives? Toshiba is tackling this question with their Canvio AeroMobile Wireless SSD ($179). It’s a 128 GB solid-state wireless hard drive that can accept up to 8 simultaneous client connections via Wi-Fi e.g. smartphones, tablets, laptops etc. But it also contains a built-in battery and an SD card reader, which makes the Canvio AeroMobile a nearly perfect wireless data companion. Interesting times for Amazon. Especially in the hardware space. First we get the surprise launch of their new set-top box, the Fire TV, now rumours are spreading of an imminent smartphone from the retail giant. Not that this rumour is new, per se. We’ve been hearing speculation about an Amazon phone almost as long as we’ve been hearing about an HDTV from Apple. But this time, the rumour comes with a new level of specificity at least as it relates to a key tech spec: the handset will supposedly ship with a quad set of cameras that will enable a retina-tracking, glasses-free, 3D display. Let’s assume for the time being that this phone, if real, will be a logical stable-mate to the existing Kindle Fire line of tablets. This would mean Amazon’s proprietary fork of Android and access to all of Amazon’s streaming services. Certainly not a bad set of specs. Especially if they include access to the Fire TV’s game store. Frankly, if this was all there was to this rumoured handset, the right price would make it a very popular choice. Amazon’s tablets have received very favourable reviews and it seems likely that an Amazon phone would fare equally well. 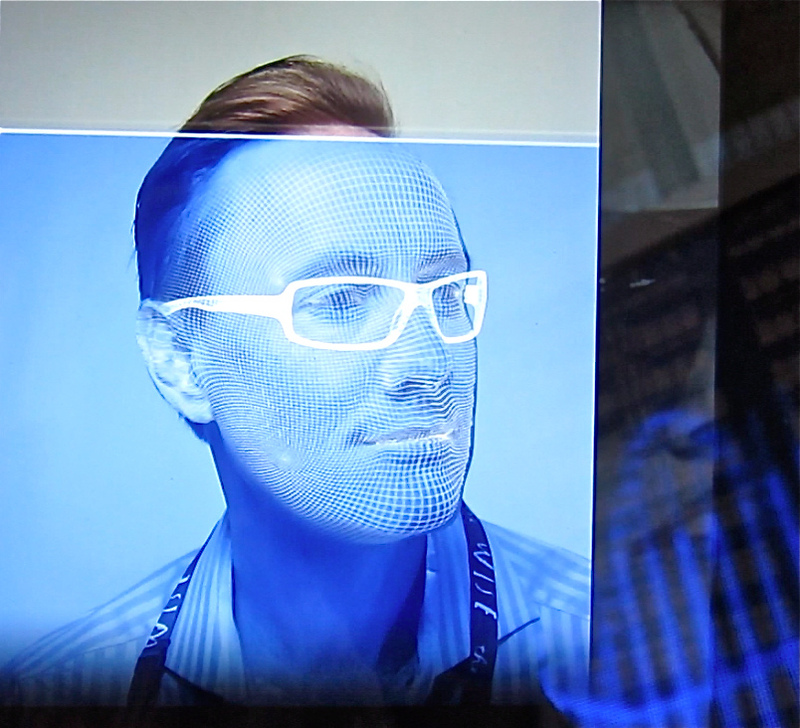 But I’m troubled by the 3D aspect of the report. I know that movie studios continue to flog 3D on all of their mega-budget releases as a way of luring audiences to theatrical releases (with the correspondingly over-priced tickets). Some people even choose 3D over 2D when given the choice. Not me. I’m completely over 3D. Most of the time my brain becomes so accustomed to the effect that 20 minutes into the movie the only thing I’m noticing is the glasses on my face and the darker picture on the screen (non-3D movies are noticeably brighter). As for home 3D? Fugedaboudit. Even if we owned a 3D TV I doubt we’d ever use the 3D part. My neighbour, who is as big a movie buff as you’re likely to find, never uses his TV’s 3D capability. I suspect he’s far from an outlier on that count. Which brings us back to why Amazon would choose to include 3D on a handset, especially when others have tried (and failed) to market one successfully. The most obvious reason is that they want to enable traditional 3D content, i.e. movies and games. Nintendo has enjoyed relative success with their 3DS line of hand-held game consoles and those who have them assure me that the 3D part is really enjoyable (I’ll have to take their word for it). But there may be a secondary element to Amazon’s 3D strategy: retail. Though I’ve never felt that the current model of multiple-angle images in gallery format was insufficient when looking at products online, perhaps Amazon wants to take the virtual shopping experience to the next level by giving shoppers a more immersive and realistic view of catalog items. Could such an evolution in the display of retail objects (or indeed any objects) be a game-changer? My instinct is to say “no” purely based on my lacklustre experiences with 3D in other contexts. But I underestimated how profoundly popular having an “iPod Touch on steroids” would be when the iPad was first released, so I’m willing to concede that the experience of 3D shopping might be one of those things you need to see, before rendering judgment. What are your thoughts on a 3D phone from Amazon? You’ve got to hand it to Larry and Sergei. When they dream, they dream big. How cool is it that a couple of guys who came up with a better way to index the web are now in a position to influence the course of human history? But when you roll the dice on monster concepts, you’ve got to be prepared when some of them don’t pan out. Of the items on the list above, there’s a good chance that all but the space elevator and human lifespan will make it from concept to reality. Even the driverless car–an idea that we were scoffing at less than 6 years ago–is real, and it works and they’re even legal in some places. What I like about all of these projects is that there is a strong chance that if they work out as planned, they will see mass adoption. A lot of people are going to want the benefits these projects will offer. 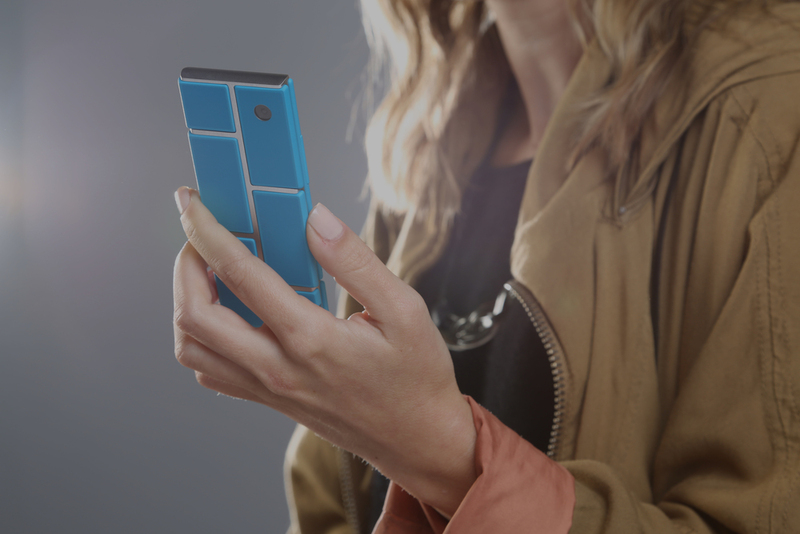 But I can’t say the same for Google’s most recent foray into the future: Project Ara. 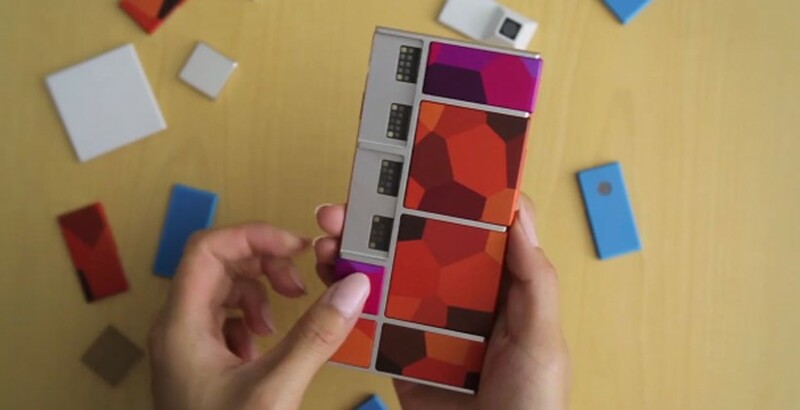 Project Ara is Google’s concept for a modular smartphone platform. You may have heard of this already under the name PhoneBloks. Turns out, they were once separate efforts that are now united under the combined Google/Motorola banner (even though Google has agreed to sell most of that company to Lenovo). It’s a fascinating and wonderful idea: What if, instead of having to trade in, sell, or giveaway your old phone when newer features hit the market e.g. a fingerprint scanner or better WiFi, you could simply upgrade just that component, leaving all of the phone’s other features and functions untouched? Moreover, what if you could choose from several sizes of device and then customize exactly which of these modules it came equipped with when new, knowing you could swap the modules later if you needed something different? It sounds like techno-nirvana, especially for those of us who grew up playing with LEGO and admiring the component Hi-Fi systems our parents had lovingly assembled in the family room. But as appealing as this concept might be for the small percentage of folks who value versatility and upgradeability over simplicity, PhoneBloks will never reach a mass market and that’s why its future is bleak. Though the name makes it obvious (as do the product renderings), let’s not forget that these phones will be well, blocky. Even if the modules themselves end up with gently curved corners and are made as low-profile as possible, it’s physically impossible to create a phone using swappable modules that can be as thin and light as a phone that embeds these components internally. 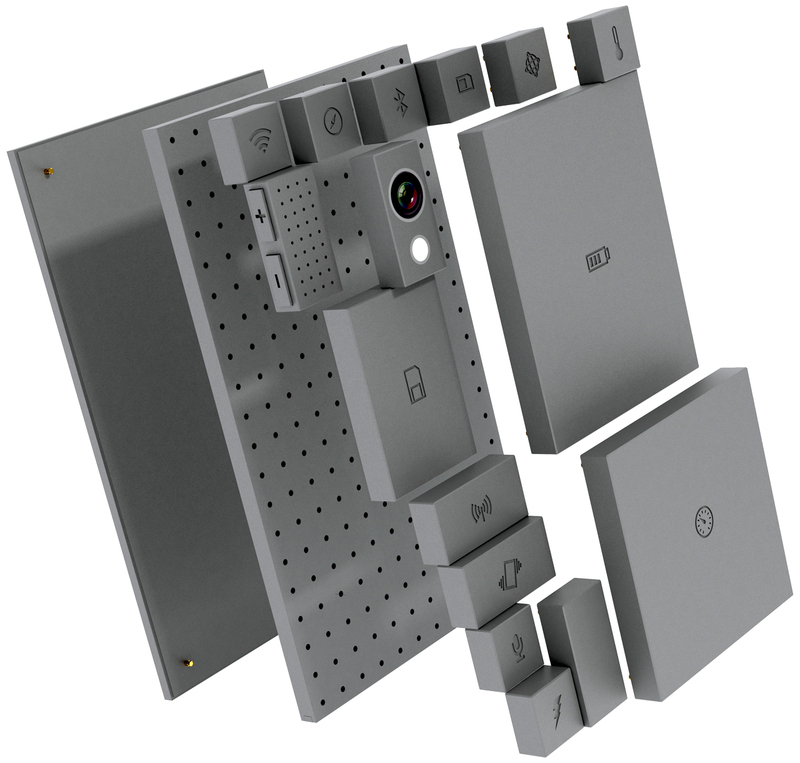 If the PhoneBloks concept takes off, after a few generations the modules might actually evolve to the point where they don’t protrude from the phone’s frame. But even if that happens, the overall product will remain larger and bulkier than an equivalently equipped embedded-design. One of the core beliefs that the PhoneBloks concept is based on is that consumers really want to be able to change their phone’s capabilities over time. And while that might be true of certain elements (like wishing you could have a better camera or be able to access Siri) the market has proven itself exceptionally willing to forego features like expandable storage or even replaceable batteries. Just think, back in 2007 when Apple launched the iPhone, people who were used to having BlackBerrys and feature phones scoffed loudly at the iPhone’s sealed battery (not to mention its pathetic battery life). Once BlackBerrys and other competitors started shipping with expandable storage via MicroSD cards, these same people scoffed again at Apple’s apparently disdainful decision to only offer the iPhone in set storage sizes (8, 16, 32 etc.) But we’re all familiar with what happened. The market decided, much to the surprise of tech pundits and Apple’s competitors alike, that these things just don’t matter as much as everyone thought. Did consumers wish that Apple had offered these two features? Perhaps. But you’d never know it by looking at the sales numbers. It seems especially true in western countries—and no more so than in the U.S.—that a person’s individual nature is considered holy. We are all unique, with our own personalities, and thanks to our freedom within our wonderful democracies, we get to express these personalities any way we see fit. Or so the theory goes. From that belief comes the notion that what people value is the ability to make an object “their own” through customization. And sure enough, this is true in areas like people’s homes, their choice of clothes, makeup, vehicles and consumption of the arts. Everyone picks what she or he likes. Everyone’s different, right? Actually, no, we aren’t. The truth is, while we might have differing tastes on small things like the colour of our walls, or brand of footwear we’re loyal to, on a massive scale, we’re far more alike than we’d like to think. Not convinced? Just look at the success of a store like IKEA, or a movie like Frozen, or a musician like Bruce Springsteen. We might not all like the same things, but when we do agree, we agree on a massive scale. So it follows from this that, despite our whining about wanting choice and customization, what we really want is the same thing that a lot of other people want: a really good experience. We happily join the crowd when we find one. We even have a recent example of customization’s failure to win over a mass market: Last year, Motorola debuted the Moto X, a really well-built, well-designed Android smartphone. It had a competitive feature set, it scored highly with reviewers, and it had a killer feature that should have catapulted it to dominance: In the U.S. you can order it online and pick from a wide variety of case colours and materials including real bamboo and wood. If there was any truth to the notion that the market was being heavily underserved in the area of choice, the Moto X should have been a runaway success. After four months on the market, it had reportedly only sold 500,000 units – a tiny number when compared to the 33.8 million iPhones Apple sold during a similar period. So much for wanting to be different. PhoneBloks should be lauded for their environmentally-conscious goal of not tossing out a phone simply because you want a feature upgrade. So-called “built-in obsolescence” is a drag. Why won’t my first generation iPad run Apple’s latest version of iOS, for instance? It just makes a ton of sense to stick with the product we bought and then, over time as things change, we just upgrade the parts that need upgrading. Except that human beings are a peculiar species. We can simultaneously acknowledge the logic of such an idea, while we gaze longingly at the brand-new, shiny model. It’s possible to upgrade a car through the dizzying array of aftermarket products. But most of us don’t. It’s possible to upgrade the components of a desktop PC (as long as it’s not an iMac!) but apart from more RAM, most of us don’t. Even when faced with one of the most popular upgrades of all time: the home reno, it’s amazing how many people will opt to sell their house and buy one that already has the features they want. We love what’s new, even when it’s only a little better than what we currently own. Especially when buying new won’t break the bank. We see this every time Apple releases a new iPhone model. A huge chunk of the early buyers are always existing iPhone owners, many of whom are upgrading from the immediately prior model. So despite being able to soup-up a PhoneBloks phone hot-rod style, the mass market will continue to value a shiny new phone over a shiny new Blok. If you’ve been thinking throughout this piece that I’m being thick, and that of course the PhoneBloks concept isn’t for everyone, I know what you mean. After all, why get all negative over a new idea just because it won’t resonate with a mass audience? And how do you really know? After all, it hasn’t even hit the market yet and the idea has almost a million supporters. Plenty of successful ideas started small, right? Ahem, Facebook! Yes, yes and yes. It’s absolutely true that PhoneBloks needn’t achieve iPhone-like sales figures in order to prove itself a successful model for the smartphone industry. But it’s also true that it must nevertheless achieve a minimum level of adoption in order to simply stay alive. Given what I’ve outlined, I just don’t think this will happen. And it’s a shame, because ideas like PhoneBloks are what we need to spark the next round of innovation in an industry that has become dominated by two giants. Apple's Lightning to 30-pin adapter is here, but do you want it? And, the 30-pin dock connector that had been the de-facto connection for nearly all of Apple’s portable devices for a decade, was no more. In it’s place, a new, smaller connector known as Lightning. 2) Because the connector is identical on both sides, you can’t insert it incorrectly. Ironically, it was probably this last point that earned the Lightning it’s name, despite the obvious connotation of faster connection speeds. Just ask Marc Saltzman what he thinks of that little piece of labelling from Cupertino! Apple’s reply was a calming reassurance that there would be Lightning-to-Dock adapters available soon after the iPhone’s launch, and that this would be an adequate solution. So far, so good. Except that “soon” turned out to mean “well over a month” and as far as it being an adequate solution (my words, not Apple’s), the jury is still out. To be clear, Apple doesn’t just make one Lightning adapter accessory; they make several. The Lightning-to-30-pin adapter comes in two flavours: A cable-based version ($45) that gives you some flexibility in placement of your Lightning-based iDevice, and a small, stubby “ultracompact” unit ($35) that is presumably intended for dock-wielding gadgets like charging stations, alarm clocks and speaker docks. It’s the latter version that I finally got my hands on last Friday, in eager anticipation of being able to once again charge my iPhone without cables running all over my bedside table. Alas, when I tried it out, I discovered that one of the Lightning connector’s strengths is now its greatest annoyance, for me at least. The Lightning connector is actually amazingly well-engineered. The size, shape and design make it unique amongst the world’s growing digital connection universe. One the best parts is the way the male end is designed to snap-in to the female receptacle. It does so with authority, making it the Mercedes car door of the connector world. Once seated, it stays put, requiring a healthy – but not difficult – amount of force to dislodge it. Lightning manages to walk that remarkably thin line in consumer electronics between ease of use and sturdiness of design. Aye, but there’s the rub: the new Lightning connector is so good, it overpowers the older 30-pin connection. In practice this means that seating the adapter in your dock, then sitting your iPhone 5 onto the adapter results in a stronger bond between the iPhone and the the adapter than between the adapter and the dock. Oh look, there it is, my faithful Panasonic RC-DC1. It's a terrible alarm clock, but it looks nice and it has a charging dock so my wife doesn't complain about all of my cables. And here comes Apple's Lightning-to-30-pin dock adapter to the rescue so I can dock my brand-new iPhone 5. Yay! It really is a cute little thing isn't it? And so easy to slip on top of the Panasonic's existing 30-pin connector. Hey, will you lookit that? The iPhone 5 just snaps right on! Hmm. Seems to look a little top-heavy. Oh well, I guess as long as I don't bump it when I reach for that superbly placed snooze button, I should be ok. Right? Good morning world! Good morning fully charged iPhone 5! Come here, let me embrace your svelte body that I might better enjoy reading my emails from the previous 7 hours. Wait, what's this? An unsightly plastic growth seems to have appeared overnight... Doh! So now, every time I reach for my iPhone 5, I must yank the adapter free from the base of the iPhone, in order to re-seat it on the dock. Every. Single. Time.Could this scenario I have just described be unique to my particular dock-adapter-iPhone combination? I doubt it. As I said, it’s a by-product of how wonderfully sturdy the new Lightning connector is. Unfortunately, consumers won’t see this as an all-round positive until we’ve replaced our existing 30-pin dock accessories with Lightning-based ones. And at the rate 3rd-party Lightning-based accessories are appearing on the market (hint: you can’t find any yet), we might be waiting a long time. Related: Check out Wired Magazine’s feature on accessory makers that have had their product plans (nearly) sidelined by Apple’s Lightning. Update Friday, October 5: Sony has halted sales on the new Xperia Tablet S due to concerns around the device’s ability to deal with liquid spills. According to Reuters, the company has discovered small gaps between the frame an the screen, which can let liquid in, thus compromising the tablet’s seal. A year ago, Sony launched its first tablet effort, the Tablet S. It was 9.4” touchscreen device running what was then Google’s only version of Android for tablets – Honeycomb. It had a unique design with its wedgy, folded-edge body, a good screen, and a built-in IR transmitter that could turn the Tablet S into a remote control for your home theatre equipment. But it was pricey, the remote control feature lacked macros, and thanks to Honeycomb, the user experience wasn’t especially snappy or compelling. You couldn’t even use the included SD card support for anything but transfering your media files to the device’s internal memory. And there was no HDMI out – a feature that surprised many given that the tablet was supposed to (among other things) play nicely with Sony’s line of Bravia TVs. While many reviewers praised Sony’s industrial design, the high price and poorly executed feature set kept the Tablet S from earning wide support amongst reviewers or consumers. Fast forward barely a year and Sony is back, on a mission to show that they can take constructive criticism and respond with a better product. And that’s exactly what the new Xperia Tablet S is – a better tablet in every way. Those of us who tried the original Tablet S gave Sony high marks for being willing to take some risks with the physical shape of the product. Its asymmetrical design meant that the top edge was thicker than the bottom. Or if you held it sideways in portrait mode, the right or left side was thicker. This not only gave the Tablet S a slight incline when using the device on a flat surface, making typing a little more comfortable, but also made holding the device while using it to read or surf the web one-handed a much better experience too. And while the new Xperia Tablet S has toned down the wedge-shape, the folded-edge profile remains and still delivers a great reading and surfing experience thanks to the textured finish on the tablet’s backside. Gone is the all-plastic case, replaced with a combination of plastic and aluminum which give the Xperia Tablet S a higher-end feel and puts it on the same level as the iPad and the Samsung Galaxy Tab in terms of materials. The tablet feels surprisingly light in the hand considering its overall dimensions are similar to other, heavier tablets. Sony claims battery life is about 12 hours for watching video and 10 while wirelessly surfing the web. These are excellent numbers however I wasn’t able to fully verify them. My guess is that real-world use will prove to be slightly less. Dual stereo speakers sit near the bottom edge, concealed behind slits covered in a fine mesh. The sound quality is great for a tablet, and more than ample for watching YouTube videos or listening to the occasional song, but you’re still better off with dedicated external speakers for any serious listening activities. 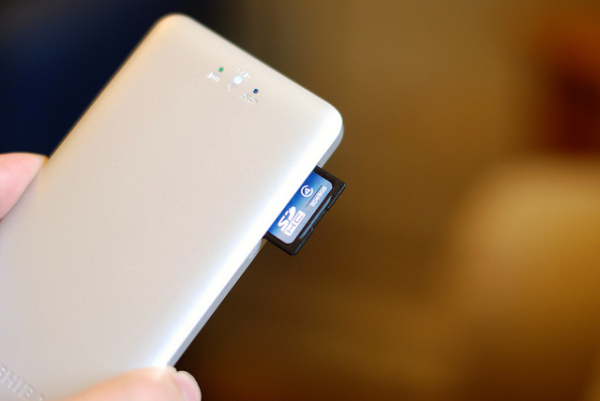 Around the left side, you’ll find a covered panel containing the SD card slot and immediately above that is the headphone jack, while on the bottom edge, protected by a removable cover is the new Multi-port. The Multi-port works much the same way as Apple’s dock connector. It handles charging and data transfer via the included USB cable, and with the help of an optional $39 adapter, it can be used as an HDMI-out jack for sending HD video to your HDTV. Perhaps the best part of the Tablet S’s new physique is the one you can’t see: Sony has equipped this baby with an invisible hydrophobic coating that makes it spill-proof. You won’t be able to immerse the tablet in liquid, but as long as you keep the protective covers for the side and bottom ports in-place, the Tablet S should be able to handle most of the common mishaps that can befall a device that is left on a kitchen counter. The screen is still not on par with Apple’s industry-leading Retina display, but it nonetheless delivers crisp, rich images and video. Unless you’re holding the two displays side-by-side it’s unlikely you’ll feel cheated by the Tablet S’s lower pixel density. Inside, the new NVIDIA Tegra 3 Quad-Core CPU does a great job at keeping the Tablet S quick and responsive, while delivering enough graphics performance to easily handle the many 3D games available for the Android platform, plus Sony’s own PlayStation Mobile offering which will headed to tablets including the Tablet S in October. That quick new processor is part of what makes the Tablet S a joy to use, but the larger part is Google’s Android 4.0 OS, better known as Ice Cream Sandwich. If you’ve never used an ICS device, you don’t know just how good Android has become as an operating system. Gestures are recognized instantly, while transitions are handled without stutter and apps execute without hesitation. Scrolling is buttery smooth, which in itself is a big improvement over the previous Honeycomb OS. Android on tablets is now a lot of fun. As good as ICS is, there’s always room for improvement. Normally when manufacturers try to layer their own software on top of the stock Android experience, results can be mixed, which is really to say, not good. The previous Tablet S was an example of Android-meddling yielding no real benefits. This time around, however, Sony has left the core ICS experience virtually untouched, adding only enough functionality to help the Tablet S stand out from the crowd – in a good way. The first exclusive feature is the media remote capability that Sony preserved from the first Tablet S. Unlike the first version, which was little more than a graphical display of your existing remotes and thus not very helpful, the revamped app brings the missing piece of the puzzle: Macros. Macros are, for the uninitiated, user-customizable “groups” of commands that can combine any amount of “key presses” from your standard remote controls. It’s macros that give a product like the Logitech Harmony Remote its popularity. Being able to hit a single button labelled “Watch TV” and then sit back while the remote turns on every device in your home theatre and sets all of the right inputs is the holy grail. Sony’s Universal IR Remote Control can do that. And unlike the Harmony, if you’re not happy with the way a given macro works, you can edit the sequence of commands right on the screen – no cables or syncing with a PC required. You’re still left dealing with the fact that a smooth-surfaced tablet screen isn’t as intuitive to use as a physical remote, but that is the only drawback. The second, and arguably the best of the exclusive features, is the Tablet S’s Guest Mode. Finally, you can now hand over your tablet to a friend, child, co-worker or spouse and not have to worry that they might accidentally delete an important email or pull up a webpage that you were on which (ahem) you’d rather they not see. All of this because Guest Mode creates the equivalent of user accounts on a PC or Mac. As the tablet’s administrator, you can assign different accounts, each with its own name and permissions. You could for instance, create a “Kids” account and set it so that it only has access to specific games, and perhaps the YouTube app. Or you could create a profile for your spouse that gives access to everything, but keeps your email and web surfing separate. Passwords can also be assigned to keep those folks where they belong! Given that our tablets are quickly becoming the most used appliances in our homes, and everyone feels a certain ownership, Guest Mode is a feature whose time has come. Every tablet should have it. I’m not going to spend much time on the other apps that Sony has included such as Walkman, Movies, Music Unlimited etc. These are all decent media playback or store apps but, with the exception of the Walkman app – which includes all of the features found on Sony’s excellent line of portable media players such as the SenseMe auto-playlist function, these apps are mostly on par with the stock Android equivalents. It is worth noting however, that these native Sony media apps all have the ability to “throw” audio and video (depending on the app) to DLNA-compatible devices on your network e.g. a Sony PlayStation 3 or a set of DLNA-equipped Wi-Fi speakers. This means that content playing on your tablet can play wirelessly on your HDTV or other devices. Think of it as similar to Apple’s AirPlay feature, but not quite as universally executed. I would also be remiss if I didn’t point out how aggressively Sony is supporting the Xperia Tablet S with a slew of accessories. From covers, to keyboard cases, to stands that dock, charge and let you rotate the tablet into various positions, what Sony doesn’t have in 3rd-party support for the Tablet S, they are making up for themselves with some genuinely innovative and well-designed accessories. Finally, let’s cover price. The Xperia Tablet S starts at $399 for the 16GB model, while the 32GB model will run you $499. That’s it – no other memory capacities and no 3G/4G cellular options (at least, not in Canada). Those prices aren’t exactly a bargain compared to other Android tablets, which you can find for up to a $100 less, depending on the brand and model, but it’s also a $100 less than what Sony was charging for the 16GB model of the first Tablet S.
Notably, it’s also $120 less than a comparably equipped iPad. Factor in Sony’s superb build quality, splash/spill-proof coating, Guest Mode and IR remote control and there’s a strong argument to be made that the Xperia Tablet S is actually the value leader in the 9-10” tablet category. While Sony’s first tablet effort left us wanting more – much more, the new Xperia Tablet S delivers the missing pieces, throws in a few welcome surprises, and carries a price tag that while not a bargain, is certainly not a show-stopper. If you have been holding off on buying a tablet, the Xperia Tablet S would make an excellent first purchase. It’s beautifully designed, it runs Google’s superb Android Ice Cream Sandwich and it has been built to handle nearly everything a household will expect from it, or throw at it. Far from throwing in the towel on tablets, Sony is back, and better than ever. Can Sony's new Xperia Tablet S succeed where the Tablet S failed? You have to give Sony credit. Last year, the company debuted their first effort at creating a consumer tablet, hoping not so much to rival the iPad (something they sensibly realized wasn’t going to happen) but to establish themselves as the definitive #2 player in the space. To say they missed that target is an understatement. While reviewers had kind things to say about the Tablet S’s physical design such as the innovative wedge shape that made it more comfortable to hold sideways, there was far more in the minus column, thanks mostly to some poorly executed and/or missing features. The bottom line was that if you’re going to charge the same price as an iPad, you had better give users a compelling reason to pick your tablet. Apparently most consumers felt that had not happened and sales figures for the Tablet S barely registered on global tablet purchases. That was then. Today, Sony comes back to the tablet table, this time with a new brand (their tablet is now part of the Xperia family of products which includes Sony’s Xperia smartphones) a new look (thinner, lighter) and has addressed at least some of the shortcomings of the Tablet S.
The Xperia Tablet S as the new model is called, comes in 16 and 32GB flavours, sells for $399 and $499 respectively and runs the more modern Android 4.0 operating system from Google. The new form factor is mostly the same as the original. Screen size and resolution are unchanged at 9.4″ and 1280×800. But this time around Sony has reduced the “curled” portion of the tablet wedge to just the upper (or side) third of the case instead of the previous design’s nearly constant taper from one edge to the other. The overall effect is to make the new Tablet S appear thinner, though the official measurements seem to indicate this is mostly an optical illusion. Sony has also made the Tablet S more robust. It now sports a splash-proof coating which Sony claims makes the tablet resistant to all kinds of splashes, from any direction, so long as the port covers remain securely in place. This is a very good idea given how many tablets end up in the kitchen as they serve the double-duty of internet appliance and digital cookbook. Internally, the Xperia tablet gets a speed boost from the latest Quad-core Nvidia Tegra 3 processor, plus the cameras get a spec bump too going from 0.3 megapixels in the front and 5MP in the rear to 1MP up front and 8MP in the rear, which is pretty much standard on all smartphones, and much better than average for tablets. The last of the (major) physical changes is the presence of a “multiport.” This replaces the micro-USB port from the first version and gives the Xperia Tablet S a critical feature: USB and HDMI-out via an adapter cable. The first Tablet S could only send video wirelessly to compatible displays like Sony TVs, lacking a physical way to do so. This is an improvement to be sure, but I’m not a fan of proprietary connections and accessories. Apple forces iPad owners down this road by only offering HDMI via a 30-pin cable and I’m really disappointed that Sony chose to follow them. But on to better things! One of the ways that Sony sought to differentiate their first tablet was the inclusion of an IR transmitter capable of controlling all of your living room devices via a bundled remote control app. It was a great idea, but for some unknown reason, Sony left out the ability to program “macros” – the powerful feature which gives a product like the Logitech Harmony line of universal remotes their broad appeal. Without macros, you’re forced to jump between remote “modes” as you operate each device in your home theatre separately. It’s the tablet equivalent of having all of your physical remotes sitting on your coffee table in front of you. In other words, it doesn’t solve any of the problems associated with owning multiple devices. The Xperia Tablet S finally addresses this gap by introducing programmable macros such as “Watch TV” which will then automatically send the necessary IR commands to your various pieces of equipment. How intuitive this macro feature is to use is unknown right now. Let’s hope Sony took a page from Logitech’s playbook. Finally, the one feature which I think proves that Sony is finally “thinking different,” to borrow Apple’s now defunct slogan, is the ability to create a “Guest Mode” account on the Xperia Tablet S. As I’ve mentioned before, one of the BlackBerry PlayBook’s best features is something called BlackBerry Balance, which lets you create a virtual wall between your work-related activities and your personal ones. Sony’s Guest Mode does the same thing by creating profiles for different users, much like you can do on Windows and Mac computers. Using Guest Mode, you can set access permissions for apps, widgets and even desktop wallpapers, for each user account. This is a tremendously useful innovation which Sony claims is exclusive to the Xperia Tablet S. I can easily see parents justifying the purchase of this product based solely on the strength of Guest Mode alone. I’ve long believed that tablets, unlike smartphones, are communal devices that end up being used by everyone in the household. With Guest Mode, there is finally a way to hand over the tablet without handing over control of personal and/or sensitive information. Sony has spared no expense in creating a dedicated line-up of accessories for the Xperia Tablet S ranging from dedicated chargers, desktop stands and covers that include built-in keyboards. Of course, we’ll really only know how good the Xperia Tablet S is once we get our hands on one, hopefully very soon. The new tablet goes on sale September 7, but you can pre-order online today. RIM’s PlayBook is without a doubt, one of the most misunderstood and under-appreciated devices ever launched. From its poorly planned debut and lacklustre feature set, to the dearth of available apps (compared to other platforms) and a lack of cellular data at launch, the PlayBook has had a rough ride. But RIM isn’t giving up on the PlayBook – as evidenced by the newest 4G/LTE version – and neither should folks who want to use their tablet for work and play. Despite its shortcomings, which incidentally are fewer and fewer as time goes by, the BlackBerry PlayBook possesses two features that make it unique in the tablet landscape. One of those features is the ability to tether your BlackBerry smartphone to the PlayBook, giving you full access to your BlackBerry’s features but on a much bigger screen. Using BlackBerry Balance you can lock your work apps while maintaining access to all of the other PlayBook functions. Click for larger image. The second is BlackBerry Balance. Balance lets you create a complete separation between work and personal tasks on the PlayBook, a truly outstanding feature that neither Apple’s iOS or Google’s Android platforms have been able to deliver. Sure, you can enable parental controls on these devices, but these restrictions disable apps completely instead of creating a virtual wall between work and personal apps. It’s the baby-sitter or nanny approach to control. With BlackBerry Balance, once you’ve indicated that you want to create a “work” container, you can lock the Messages, Contacts, Calendar and Work Browser with a single password. Once locked, these applications are no longer accessible, but the rest of the tablet’s apps remain available – even a secondary instance of the web browser for personal browsing. This ability to put all of your sensitive work-related info behind a locked door is a boon to families and anyone else who finds that their tablet ends up being passed from one person to another. RIM’s realization that our tablets – even more than our phones – are becoming shared devices, is a brilliant insight. When BlackBerry Balance is locked, you can still see that work apps are running, but you need to unlock them in order to see their full screens. Click for larger image. It’s not without flaws, however. The first being that in order to use BlackBerry Balance, you need to connect your PlayBook to an enterprise email account which is running RIM’s proprietary software on the back-end. If you just use a blackberry.net email address, or a POP email account like the one give to you by your ISP, the feature isn’t available to you. Balance also plays somewhat heavy-handedly with your locked apps. For instance, if you have a work account and a personal account set up in the Messages app, once locked, you can’t access either. RIM needs to (and claims to have plans to) find a way to only lock that which is work-related, leaving all personal data accessible. These limitations notwithstanding, BlackBerry Balance is easily the most compelling and unique feature on the PlayBook. I doubt it will be long before Google and Apple catch up, but in the meantime, RIM has a killer app on their hands. At a time when the company is holding its breath for the next 4-5 months until it can release the promised line of BlackBerry 10 devices, it needs all of the help it can get.